Cape Town - Crystal Palace will be kicking themselves after succumbing to a 2-2 draw with Everton in their English Premier League clash at the Selhurst Park on Saturday. All four goals in a game of the two Premier League underperformers of this season came in a frantic first-half of football. James McArthur and Leighton Baines scored in the opening ten minutes of the encounter before Wilfried Zaha gave the home side the advantage again in the 35th minute. However, on the stroke of half-time Oumar Niasse managed to equalise for Everton to steal a much-needed point against the Eagles. In a game of the two worst defences in the English top-flight, it was the home side that was held to a draw in an entertaining affair in London. The first goal came within the opening few seconds of the game when England international Ruben Loftus-Cheek engineered some space in the area to test Everton goalkeeper Jordan Pickford. Pickford then parried the ball straight into the path of midfielder James McArthur, who netted a simple tap-in at the near post. However five minutes later, Scott Dann was adjudged to have fouled Niasse in the area to hand veteran left-back Baines the opportunity to draw his side level. With Baines making no mistake with the spot-kick to beat Julian Speroni, both sides enjoyed some attacking football that both sets of spectators would have enjoyed. 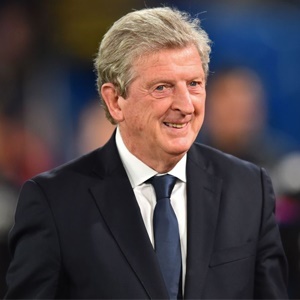 Ivory Coast forward Zaha, who's been integral to the Eagles recent resurgence showed his importance to Roy Hodgson's team once again ten minutes before the break to hand the home side the lead for the second time. Joel Ward picked the former Manchester United man out with an inch-perfect delivery and Zaha made no mistake with a well-timed finish. But it wasn't to be, as Dann was dispossessed in first-half stoppage time to allow Niasse in for the equaliser and the two sides had to make do with just a point.